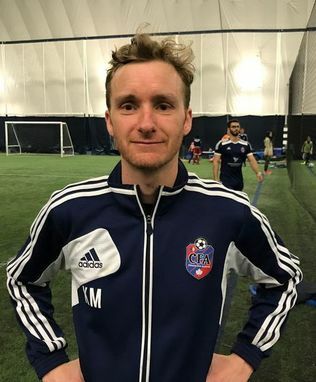 Kevin was first responsible for our FUNdamentals program and since completing his Learn to Train Grassroots coaching license, has taken over the U9 team program combining our U8 and U9 players. Kevin is high school teacher at St. Patrick High School. His son Fionn plays in our U8/U9 team. Kevin’s teaching skills are extremely useful in training our youngest players.